Welcome in the ideal location in CBD, with excellent visibility in Boulevard Grande-Duchesse Charlotte, near renowned neighbours such as the Luxembourg Stock Exchange, Banque J. Safra Sarasin, Agricultural Bank of China and the Law Firms Clifford Chance, NautaDutilh or Elvinger Hoss Prussen. The Building was built in 1973 by the German Architect Harald Deilmann and is a landmark in CBD with its recognizable white terraces. It is fully refurbished in 2018 to a very high standard, offering a modern town centre office accommodation. We spoil our guests with our beautifull garden and the many terraces on every floor. Situated in the middle of the international business district we are also only steps away, through the most beautifull city parc, Parc Monterey, from the commercial city center of Luxembourg with its many cafés and restaurants. Perfectly serviced by public transport and connected by only minutes away from all major motorways heading to Germany, France and Belgium. With our outstanding parking ratio we service your most demanding parking needs. Our location at Boulevard Grande-Duchesse Charlotte is a 5 minute walk away from the well known Place Hamilius, the main public transport hub in the center of Luxembourg from which all connections are available. Perfect Connections to all bus lines and the future tram line. Our center is located at one of the major access road to the city coming from Belgium or the Kirchberg area, with great visibility on the famous Boulevard Grande-Duchesse Charlotte. We have intermediate access to all motorways to Germany, Belgium and France in only a few minutes. The Airport is only 15 minutes away from our doorstep, and the main road from the Airport to the city center passes right before our building. We provide 2 visitor parking spots just in front of our building and offer 28 secured and underground parking spaces for your comfort. Your private desk in our closed shared workspace. 24/7/265 access to all community spaces and your secured resident desk. Your private office lounge is all about your own, fully private, office space. For 1 to 100 people or more, all services included. You have 24/7/365 access to all community spaces and your own private and secured office suite. We welcome you for a 1/2 day or a full day to use our community area’s as your office. 1/2 day guests are spoiled with breakfast or afternoon delights included, full day guests can enjoy or complimentary lunch. For people that want to work at Welkin & Meraki occasionally, only after hours or in the weekend or simply every single day. We provide different types of memberships for your comfort. You do not need a private or shared office space yet, but you want to be fully compliant in regards to your registered office address or need a professional telephone handling service. We provide you 2 professional business service solutions. Telephone Service : 199€ per month, we answer all your phone calls according to your requirements during office hours. Business Address : 399€ per month, you have access as a regular member to your community office area during office hours from Monday till Friday and can register your company address. Included the mail handling for your comfort. As a corporate company, a fast growing or a renowned SME company you need your complete facility service outsourced. Your private and secured office suite on one of our floors, or our full service in your own building? We have tailor-made solutions for all requirement. We go all the way to provide you with our inspiring and attractive workspaces for your own needs. Ensuring you win the war for talent and providing the best place to work for all your employees. We go all the way on every single element of your facility service or solution. Our solutions : Please enquire. 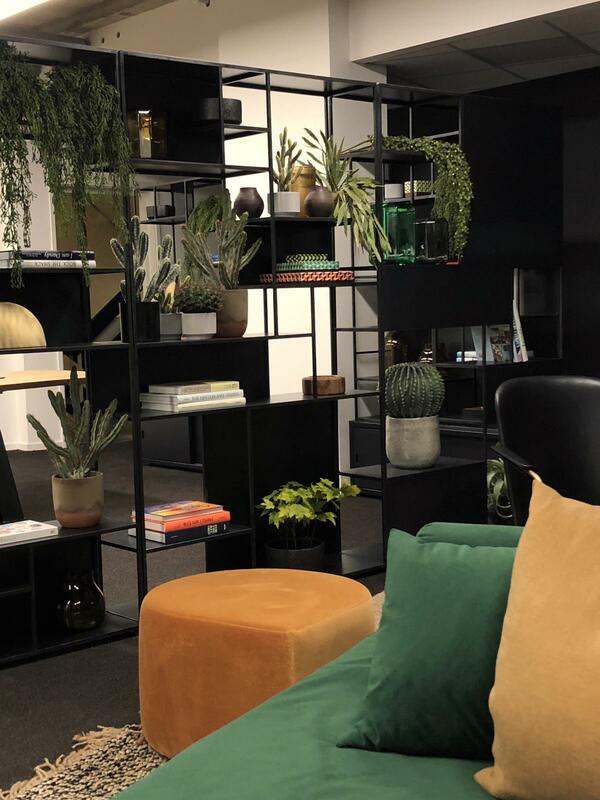 Whether you need a meeting room, a coworking workspace, a private office suite, a professional business address or your own private desk, just come in, grab a barista-made coffee, get connected and start growing your business.